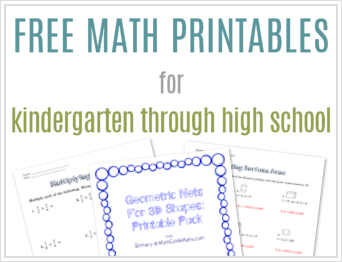 This download includes 4 pages to practice problems using number bonds to ten. The first two pages are missing a part of the number bond. Students must glue the missing part, given the other part and the whole. On second two pages, both parts are given and students must determine the whole. Using number bonds in this way helps reinforce addition and subtraction facts. 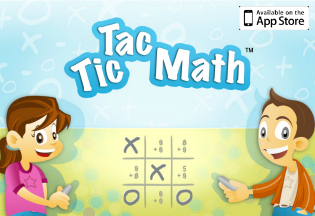 The more familiar kids are with the facts within ten, the easier more challenging problems will be. This is also a great prerequisite to fact families and inverse operations. 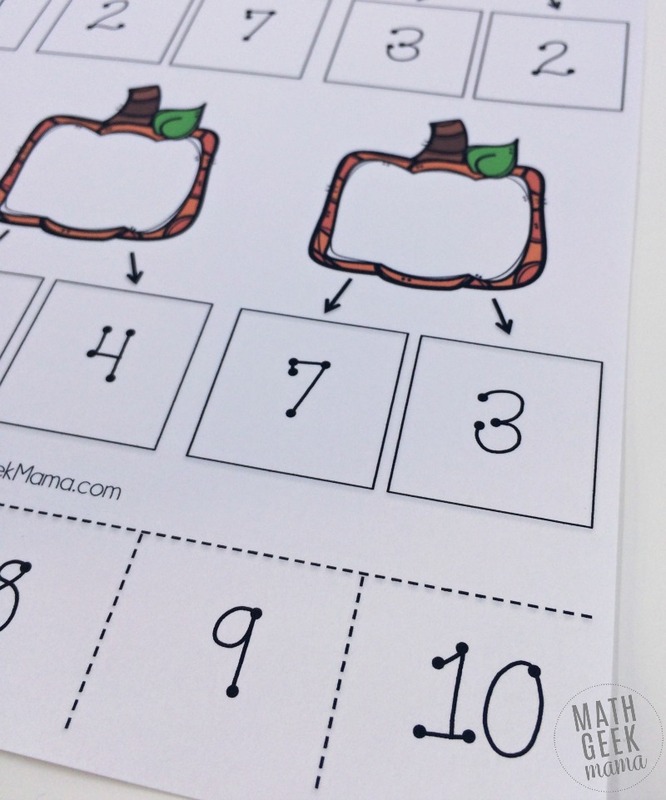 As kids continue to practice with number bonds and familiarize themselves with the part-part-whole model, they will easily transition to fact families. Though I do not use the term “inverse operation” with my first grader, I do want him to understand this unique relationship between addition and subtraction. So once he seems comfortable with number bonds to ten and manipulating the different parts, we work on fact families with this simple roll and write activity. 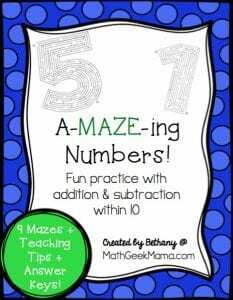 It’s crazy that such a simple activity can be so fun and motivating for kids (and strengthen so many math skills!). 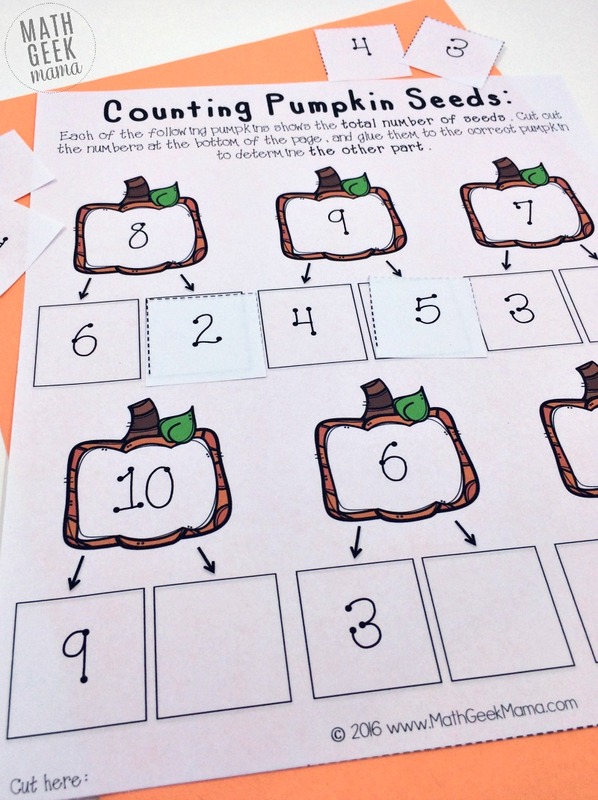 So if your kids could use more practice with number bonds to ten and a fun activity to increase their fact fluency, grab this cute set of pumpkin themed pages! 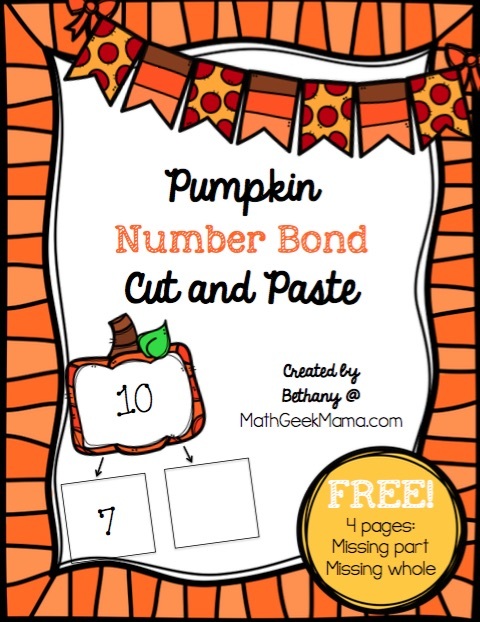 Want more fun number bond practice? 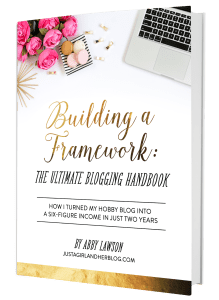 Check out all my other free resources!